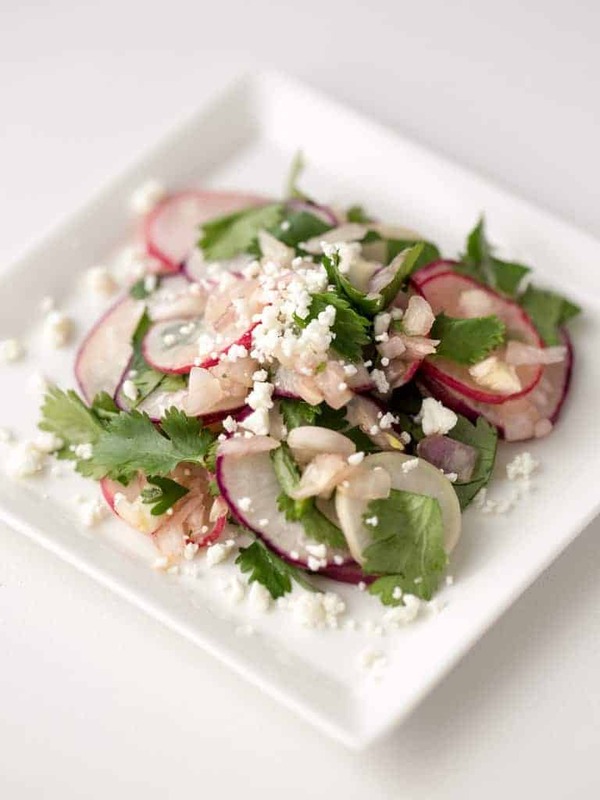 Radish Cilantro Salad with Goat Cheese is a fragrant spring salad of fresh radishes, cilantro and mild shallots tossed with a soy sauce vinaigrette then topped with creamy goat cheese. One of the highlights of my trip to the mailbox is when my Saveur magazine has arrived. This month they have several recipes I want to try and share with you the results in photographs. The first one I’m trying is their recipe for Radish Cilantro Salad with Goat Cheese. I picked up some organic Easter Egg Radishes from Cal-Organic Farms at my local Publix. Radishes get a harder skin after they are picked however this variety did not seem to have that happen. They had a smooth, mellow flavor, so they were perfect as the main ingredient in my lunch salad. I found some fun facts about radishes on WebMD that I thought you would enjoy reading. Radishes were first cultivated in China and made their way to America around 1692. 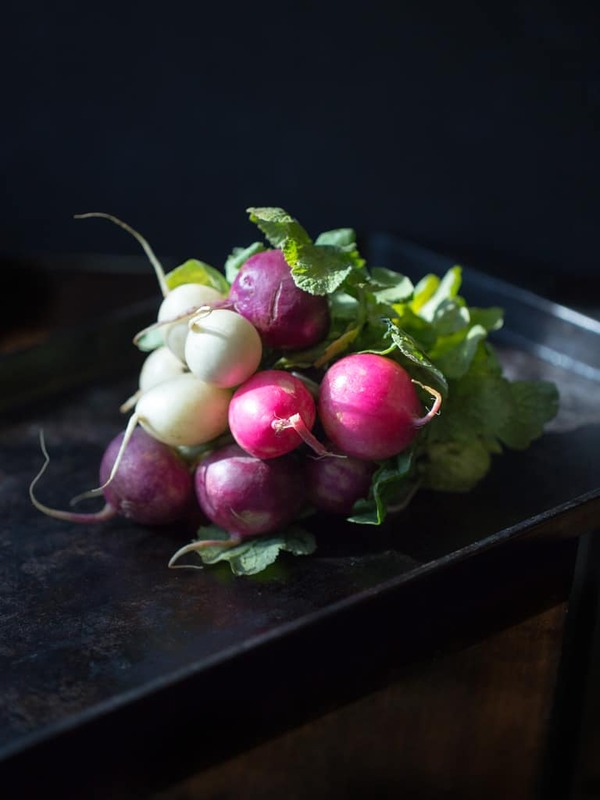 Radishes are members of the Brassicaceae family which include mustard, cabbage, kale, broccoli, cauliflower, and horseradish, among others. Thinly slice the radishes then transfer to a medium bowl. Add minced shallots and salt to bowl. Toss and allow to stand for 5 minutes.